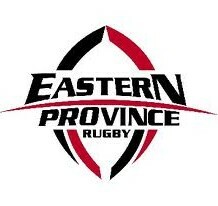 HAVING set the pace last week with a massive win over Winter Rose, Progress will need to get back to earth on Saturday (February 20) when they play against Port Elizabeth rivals Spring Rose in the Eastern Cape Super 12 club rugby competition. Both teams made winning starts to the competition and the Uitenhage side overwhelmed their Border rivals with a 77-0 result. But they can expect a completely different challenge against Spring Rose this weekend and this could well be an encounter which goes down to the wire. Winter Rose will be hoping to bounce back when they play Border colleagues Berlin Tigers. Pool B is shaping up to be the competition’s “pool of death” and there will be no quarter given when the second round takes place. 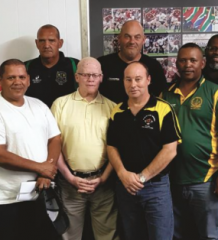 Last year’s runners-up Gardens were slightly quicker off the mark to defeat defending champions East London Police 13-5, but now travel to East London for a testing clash with Buffaloes. Although Buffs went down to Grahamstown Brumbies, they will be fired up to claim their first win today, knowing that a second loss will rule them out of the playoffs. Brumbies also travel across the Fish River and, with everything at stake, they should prepare for a backlash from EL Police. Pool C first round winners Park and Trying Stars square up in a key fixture at Park on Saturday, with the victors likely to qualify for the quarterfinals. Trying Stars were the surprise package in last year’s EP Grand Challenge and this season will be a test of their staying power. There will be no easy route to victory against the traditionally tough Park outfit.